ClearSpan designs and builds structures that are ideal for every oil and gas business in need of a bulk storage building. Our buildings can be constructed up to 300’ wide and at any length with plenty of height and clearance. ClearSpan buildings utilize a unique design that doesn’t require support posts, so arranging and organizing materials can be done to your convenience and there’s no interference with forklifts, conveyors, drilling equipment or other machinery. The natural ventilation provided by a ClearSpan bulk storage structure ensures that moisture doesn’t damage your product, while also creating an ideal environment. 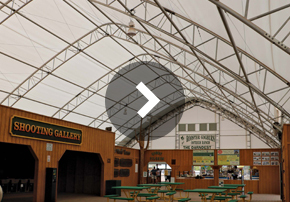 ClearSpan creates the perfect building solution for bulk storage needs of all kinds. 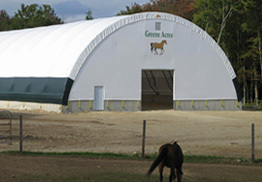 Our bulk storage buildings come in fabric, hybrid and metal buildings, ensuring that no matter how you plan on using your ClearSpan structure, there is an ideal option.